If you boiled down the idea of a pickup truck to its most minimalistic incarnation, you’d have this. 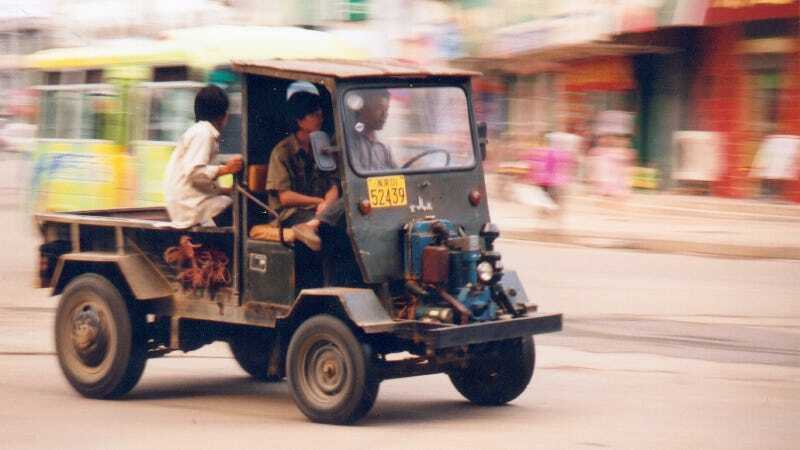 I’m not sure what this little motorized rickshaw is exactly, but I’m hoping one of you can tell me. It looks like it takes bigger balls to drive than any heavy-duty diesel-powered stump-puller we’ve got here in America. As spotted in Wenchang, China, 2006.